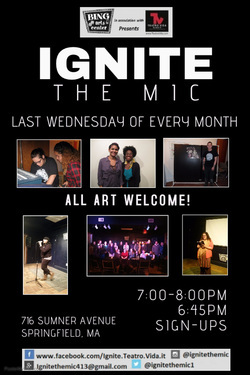 Ignite the M!c is an open mic run by and for youth ages 12-25. 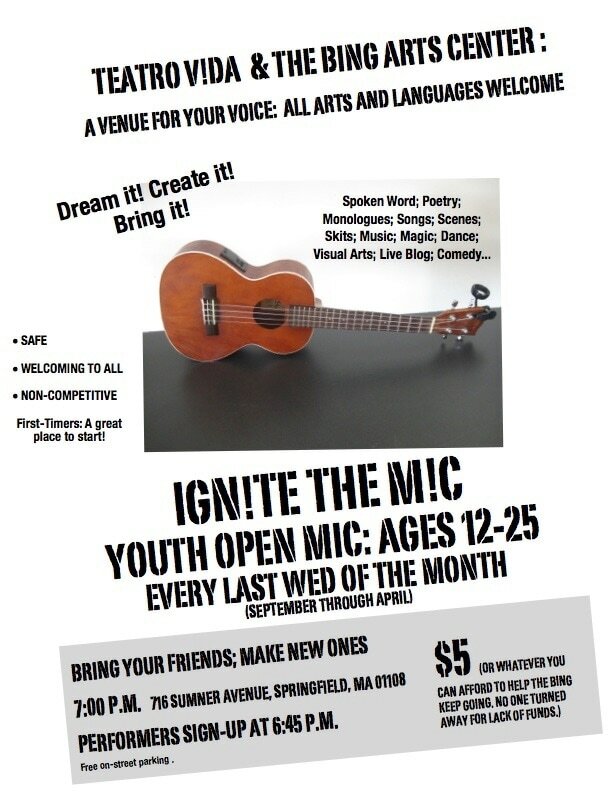 We offer a safe space for youth in Springfield and surrounding communities to come together and share their truth in their chosen form of creative art. From dancing to poetry to singing and visual art, Ign!te the Mic is a venue to support and nurture the imaginations of the next generation of artists and leaders. Our partnerships with Mount Holyoke College and Springfield College further enable us to reach out to the Five College community and beyond in order to create sustainable programming and relationships within the region. every LAST WEDNESDAY of the month. with the exception of the current season which concludes in April. The Bing Arts Center is located at 716 Sumner Ave in Springfield. Signs up start at 6:45. The event lasts until about 8:00. Click here to RSVP on our Facebook Page!